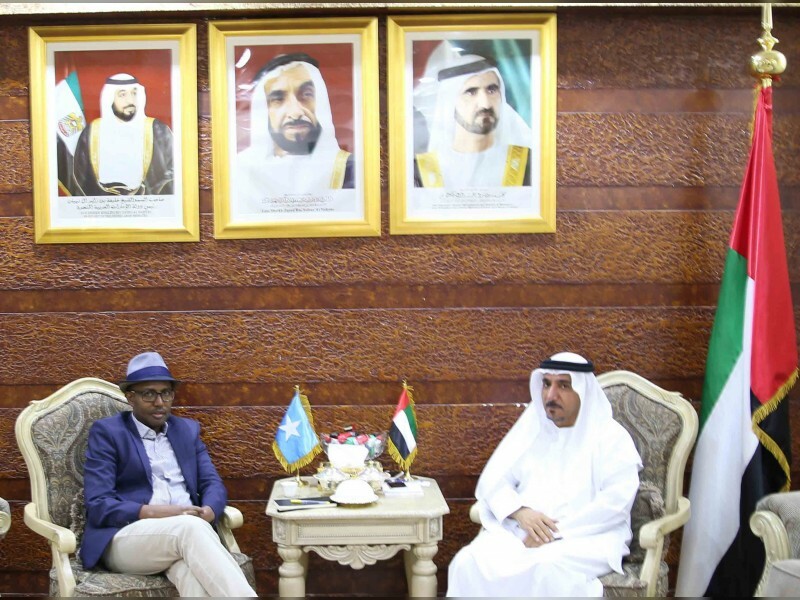 MOGADISHU, 6th February, 2018 (WAM) -- Mohammed Ahmed Othman Al Hammadi, UAE Ambassador to Somalia, has met with Abdi Said Ali, the new Somali National Security Adviser. During the meeting, held at the embassy's headquarters in Mogadishu, they discussed bilateral relations and means of strengthening and developing them in various fields to serve the interests of the two countries. Al Hammadi congratulated the Somali National Security Adviser for assuming his new position and wished him success in his duties. Ali, in turn, thanked the UAE for its continued support to Somalia in various fields. He also praised the UAE's efforts in supporting Somalia, especially in rebuilding the state's institutions, promoting security, stability and development, helping rebuild the Somali National Army, and the role of the UAE military training centre in Mogadishu, in training Somali Armed Forces. The ambassador expressed his appreciation to Ali for visiting the UAE Embassy headquarters and for his efforts in enhancing bilateral relations.